About ⋆ Moab is Awesome! Moab...Time for you to visit! I first encountered Moab many years ago. I had grown up overseas, but did get back to The States to finish my last couple of years of high school in Vermont. Being an American who had never really experienced the US, it was my strong desire to save some money, take a year off, and go discover the country. One of my buddies signed on. Our adventures were many, and the trip was amazing – but of all the places we stopped and the thousands of miles we covered, the southern part of Utah, and Moab in particular, stood out. 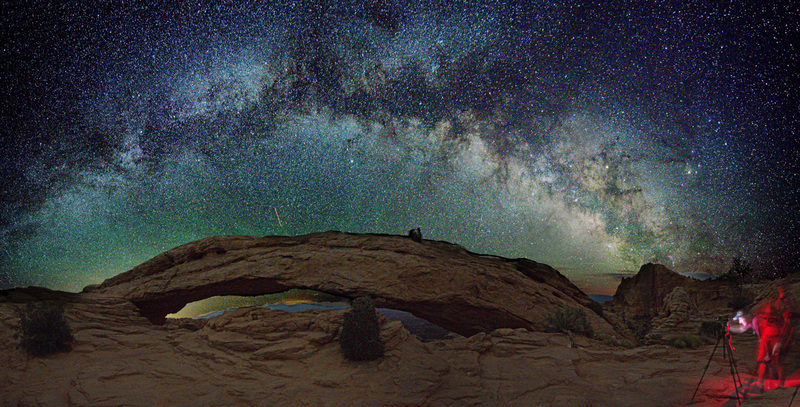 Moab is central to several amazingly scenic National and State Parks. In addition to the nearby parks, the surrounding area is vast and very accessible to explore by foot, bike, ATV, 4 wheel drive, or on horseback – Moab has it all. From the town of Moab you can also easily make day trips to Goblin Valley, Natural Bridges National Park, and the Needles district of Canyonlands. Outdoor activities abound. The scenery – on a massive scale, is beyond belief. My passion for photography, first capturing images on film, and more recently in digital format has been with me for as long as I can remember. And as you can see from this website, Moab delivers. As the years went by, I made a point to get back to Moab ever few years. It never got old. As a matter of fact the more time I spend, the more I find to explore, and the more I enjoy my time there. My friends often take a long 4-day weekend and go to Florida, Mexico, Las Vegas, New York, and other familiar places, but not me – I try and get to Moab as often as I can. If you need a four day (or longer, if you can) breather, there is no better place to renew your spirit than visiting Canyonlands, Arches National Park, or rafting the white water of The Colorado River – which, by the way, goes right around town. A few years ago, on one of my four day get-aways, I decided that it might be nice to rent a condo. And that was truly a game changer! Instead of coming back from hiking to a tent, or a hotel room, I had an entire house! With a full kitchen, a grill to cook on – and LOTS of room. Life was good! As the years continued to go by, my interest in and enjoyment of Moab only grew stronger. Then I made a radical decision – I decided to invest in two townhomes in the Town of Moab! As I write this, the construction is moving forward. I anticipate completion around the first of the year (2018). I can’t say enough great things about the area. If you’re interested in learning more, I have a few pages on this that will help answer your questions. To make it easy to get around, directly below you’ll find four tabs that will take you to different places on this web site. If nothing else, check out the pages, as they are filled with lots of pictures of the area.